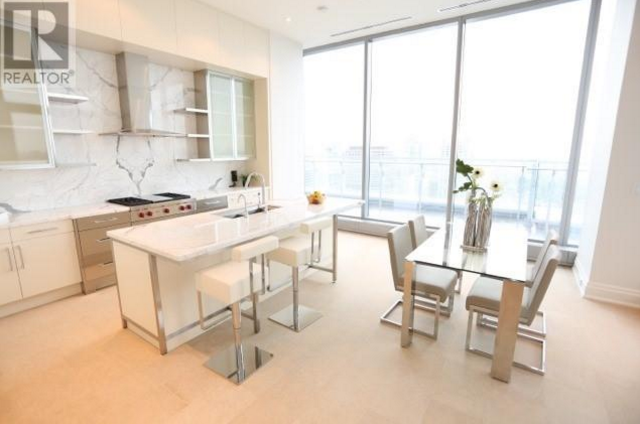 Toronto recently placed 12th on a list of the top luxury real estate markets in the world. These 10 homes make it easy to see why. A 15,000-square-foot home with something for kids — it’s on a “child-friendly cul de sac,” says the listing — and lots for adults: an indoor pool with bar, wine cellar, boudoir and billiards room. One of two high-rise units to make this roundup, this suite at the Four Seasons Hotel and Residences in the Yorkville neighbourhood has an expansive 2,000-square-foot wraparound terrace, 12-foot ceilings, gas fireplace and library. It’s also never been lived in before. If you were dropping $4,274.51 a month on maintenance fees, you’d probably want to sell, too. Netflix and chill like never before in this home’s spacious private theatre. Or maybe just impress your guest with the “spectacular millwork” the listing cites, you know, if they’re into that kind of thing. Having trouble finding room to store your growing fleet of exotic cars? 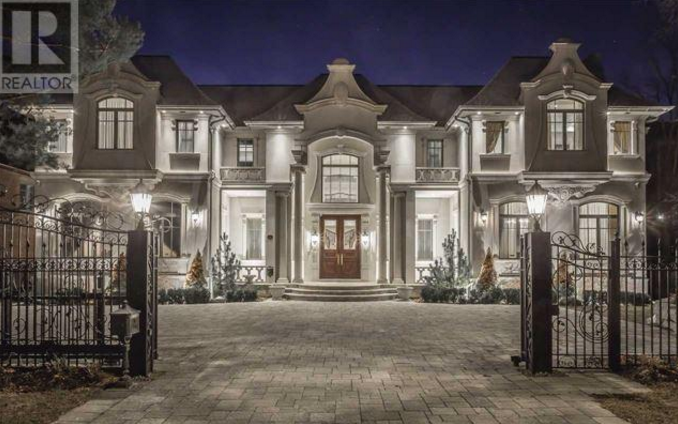 This six-bedroom home backing onto the greens of the Rosedale Golf Club is an auto enthusiast’s dream. It features a 3,200-square-foot garage complete with auto lift. Crowning The Florian by Diamante Development Corporation, a 21-storey condo several blocks north of Bloor, this penthouse suite has its own private pool and an expansive rooftop terrace. All this can be yours for a cool $15.8 million, plus $5,825.34 every month thereafter. At 120 Inglewood, it’s all in the fine touches rather than flashy treatments. Limestone ceiling medallions, intricate plaster crown mouldings, and carved mantles are a few of the more subtle selling points of this home bordering a wooded creek. 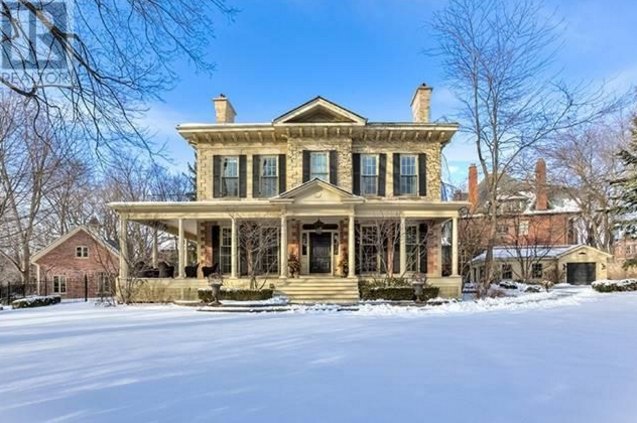 Dating back to 1855, this 12,000-square-foot heritage home, listed as “one of the original landmark estates in Rosedale,” sits atop a sprawling 30,978-square-foot lot. The garage is detached, but don’t worry, there’s a tunnel that leads from home to coach house. A domestic industrial complex of sorts, 35 High Point Road has not one, not two, but three nanny rooms and a caretaker quarters and a commercial-grade catering kitchen. No need to lift a finger here, unless it’s to work on that forehand stroke at the home’s private lighted tennis court. 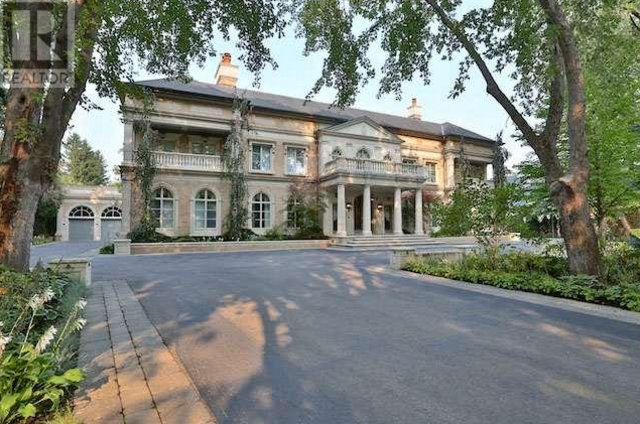 Nobody will be fighting over who gets the ensuite at this home — all seven bedrooms have one. 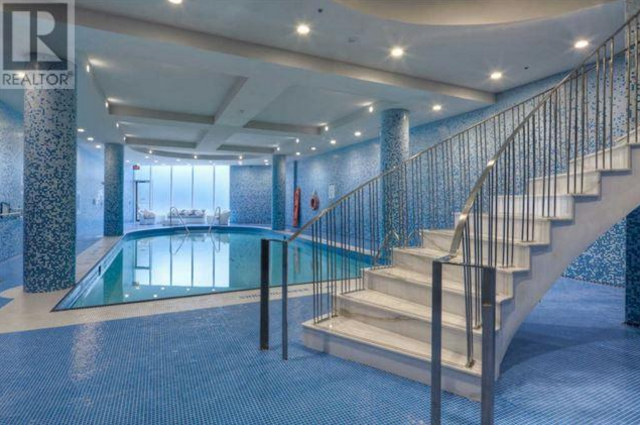 It also boasts a gym, pool and cabana, two offices, and chef’s kitchen, so there are few reasons to ever set foot off this property. That’s probably a good thing. 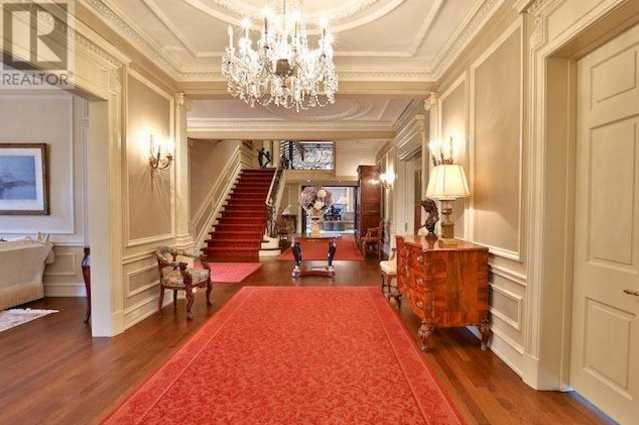 The $18-plus-million price tag might leave you a little short on spending money. The Integral House has proven a tough sell following the 2014 death of its owner, James Stewart. 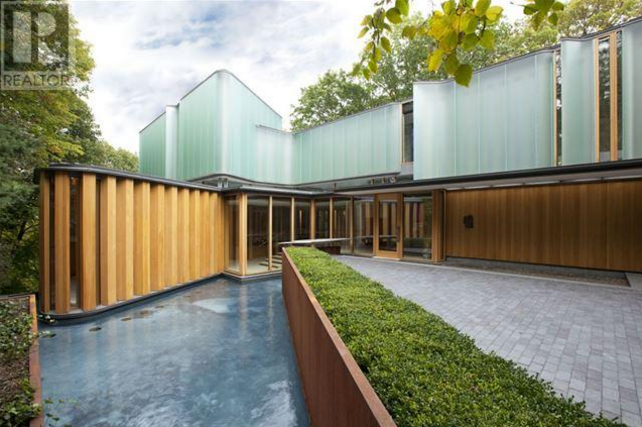 The Toronto man who struck it rich in the textbook business commissioned Shim-Sutcliffe Architects to build his dream modern home, and it was completed in 2009, when “it opened to astonished reviews in 2009,” according to the National Post. With its curving lines and turquoise cladding, that’s understandable.